Mark and Laura Newfield have spent their entire lives in camping and are firm believers in the value of the camp experience. They know how powerful a successful camp experience can be and are committed to bringing that success to all Iroquois Springs campers and staff members. They are hands-on, involved in all aspects of camp, and truly care about everyone in their camp family. Mark’s passion for camp dates back to his years as a camper. He worked through the ranks at the resident camp he attended, and became the Executive Director. 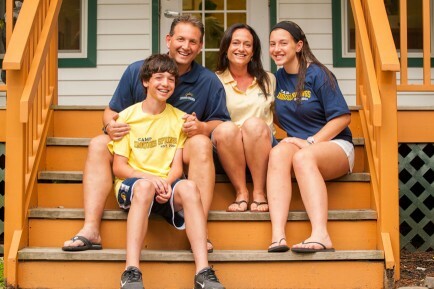 Mark’s dream of owning his own camp was realized when he purchased Iroquois Springs in 2001. In addition to his work at Iroquois Springs, Mark has held several positions on the Board of Directors for the American Camp Association – NY/NJ section and has chaired committees including EPIC (Emerging Professionals in Camping), Resident Camp Conference and the Morry Stein Fall Management Conference. Mark earned his MA in School Psychology from St. John’s University and his BA from the State University at Albany where he played and captained the varsity soccer team. Laura works closely with the counselors, medical team and our campers. Laura hails from Westchester County, where she attended Scarsdale High School and was a member of the varsity lacrosse and field hockey teams. Laura is a graduate of the State University at Albany where she was a founding member of the women’s lacrosse team and a graduate of Columbia University where she received her Masters Degree in Physical Therapy. When she is not working at camp, her focus is on physical therapy in a school based setting working with children. At camp she can be found playing with all the campers and spending time with them prior to bedtime. With two children of their own, ranging in age from middle school to high school, Laura and Mark know the love, dedication and passion it takes to raise healthy and happy children. They promote the values of integrity, loyalty, kindness and caring for others in every aspect of their personal and professional life. Mark and Laura work with a year-round staff of administrators, facility staff, medical team and food service staff to insure that Iroquois Springs maintains the highest level of excellence in operating a safe, healthy and positive camp environment. They bring their knowledge and love to camp each summer. Brian “Bubba” Cohen’s resident camp life began at the age of 7 as the youngest camper in camp. He continued to attend camp and work his way through many different leadership positions including counselor, group leader, head counselor and currently as the Associate Director. Brian has been working along with Mark and Laura since the beginning of Iroquois Springs and has grown up with Mark through camp since his early years as a camper. Brian’s wealth of knowledge and experience in all aspects of camp makes him an integral part of Iroquois Springs. Brian spends the off-season recruiting staff and planning different program offerings, to ensure a wonderful summer for everyone at camp. He also facilitates our pre and post camp user groups. Brian served on the steering committee for the Tri-State Camp Conference, takes an active role in many committees through the American Camp Association-NY/NJ Section, and is a Standards Visitor for ACA-NY/NJ. Brian received his BA in Public Relations and Advertising from Towson University. 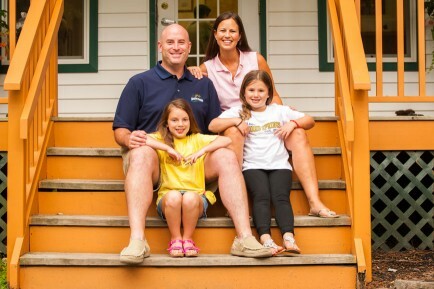 Brian, along with his wife Rebecca and their two daughters, also call Iroquois Springs their summer home.